For Lorraine Von Hess, hunger has no place in a child’s life. On breakfast duty three years ago, Von Hess, a Hamilton Township (Atlantic County) paraprofessional, had an epiphany. 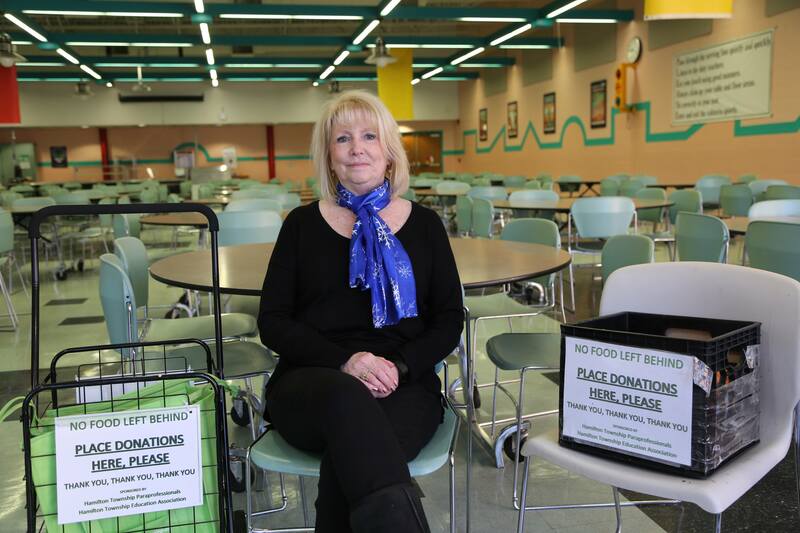 She watched as students threw away unopened food at the end of the period—food that could go to hungry families right there in the community. 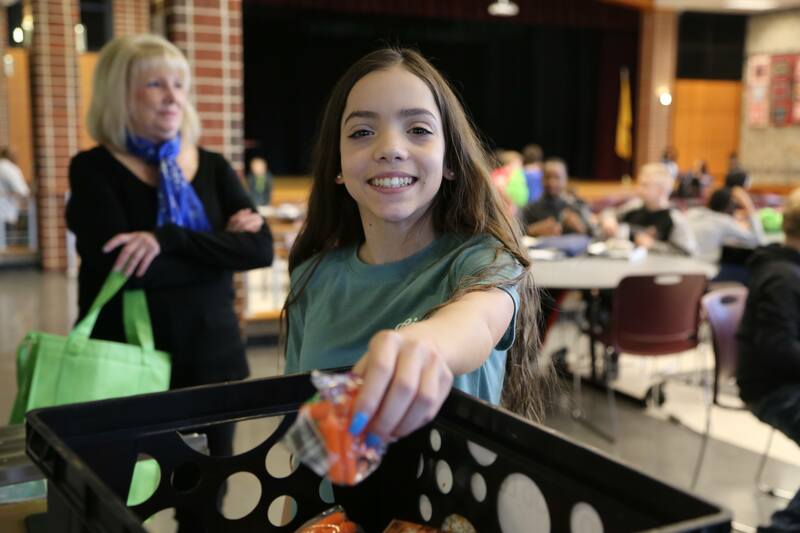 Many Hamilton Township students and their families struggle with food insecurity. More than half of the 3,000 students in the district qualify for free or reduced lunch. The district serves up 1,000 lunches and 200 breakfasts each day, a total of 700,000 meals each year, districtwide. The food itself is part of a grant from the state. 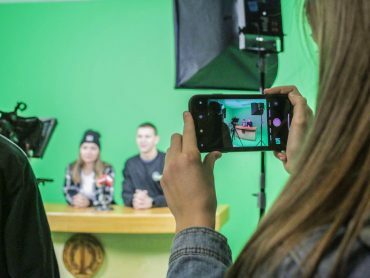 But in order for the state to qualify for federal subsidies, students had to take something from each of the mandated food groups. Of course, students didn’t always want to eat everything on their trays. So Von Hess collaborated with her paraprofessional colleagues at a school in-service day and brainstormed how a food donation system would work. Von Hess reached out to the food services manager, Bill Trackman, and got specific information on how they could run a safe food donation program that complied with state regulations. Von Hess then contacted area food pantries and got their support. As long as the food was unopened, and, in the case of fruits such as oranges, bananas and apples, not bitten into, the pantries would be delighted to accept the donations. Von Hess put together a proposal for district administration. But the program needed a name. Von Hess’s son suggested No Food Left Behind, a play on the Bush administration’s No Child Left Behind initiative, and the name stuck. Administrators enthusiastically approved the plan and, in March 2015, the program started at Davies School as a pilot. At the end of food service, students are directed to dispose of their food either in the trash or the No Food Left Behind bins. 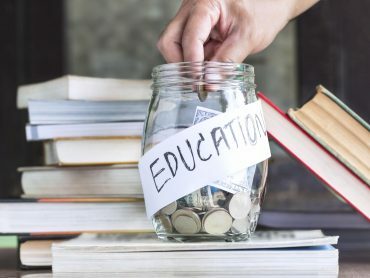 After students are dismissed, the paraprofessionals on duty sift through the donations to ensure everything is in compliance with food safety guidelines. Anything that is not acceptable is disposed of, while the rest is loaded into cooler bags donated by the Hamilton Township Education Association through an NJEA PRIDE in Public Education grant. The cooler bags are refrigerated until the paraprofessional volunteers make the donation. As long as the food was unopened, and, in the case of fruits such as oranges, bananas and apples, not bitten into, the pantries would be delighted to accept the donations. The pilot program worked so well that Von Hess worked with the paraprofessionals and principals at the two other schools in the district to get the program running there, as well. 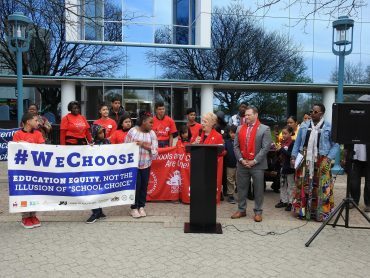 By the time students returned in September 2015, Davies, Shaner, and Hess schools were on board. The board member came through, as did many others. Paraprofessional Samira Broschard donated a refrigerator that is used at one of the schools, as did HTEA President Amy Gold. 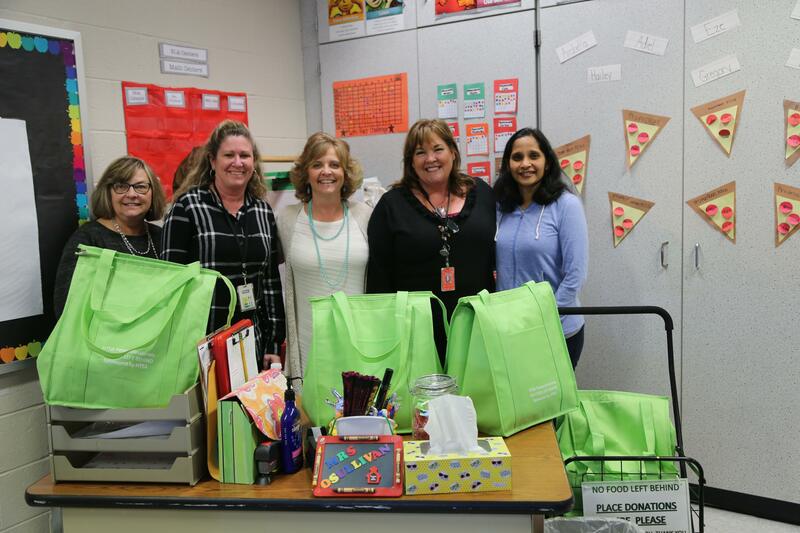 “It really makes us proud to support Lorraine and her paraprofessional colleagues with something that does so much good for students and the community,” Gold said. Von Hess and her colleagues encourage other districts to follow their lead with similar food donation programs. The system works because of the paraprofessionals’ teamwork and collaboration. “As our schedules change, different people take over,” Von Hess said. At Davies, the team includes Lorraine Von Hess, Terri Quidachay, Lois Townsend and Margi Siscone. At Hess, it includes Eileen O’Sullivan, Nikita Kolli, Kim Biasini, Kathy Ivie and Felicia Barber. At Shaner, it includes Karen Wigglsworth and Heather Jenigan. The paraprofessionals have organized a rotation that gets the food into food banks—and community members’ hands—as quickly and efficiently as possible. Every day of the week, they donate 35-40 bags of food at food pantries run by local churches. The First United Methodist Church of Mays Landing donated three carts, one for each school, to make it easier for the paraprofessionals to load and unload the heavy cooler bags. As is the case in most communities, the paraprofessionals in Hamilton Township live and work in the district. They are dedicated to their students and their communities and play a vital role in bridging the two. They often also see needs—and opportunities—that others might miss. For example, kindergarten paraprofessional Heather Jennigan, a volunteer with the Funny Farm, a nonprofit animal sanctuary in nearby Mizpah, collects the bitten apples and carrots—food that cannot go to the food banks—for the animals. “We’re doing our best to make sure that nothing goes to waste,” Von Hess said.